Children always love a cubby house. For children, there’s great appeal in having their own private little space. The impromptu cubby house made from blankets and chairs or a massive cardboard box is perfectly adequate but let’s face it – how long do you want to look at blankets draped over your lounge room furniture? 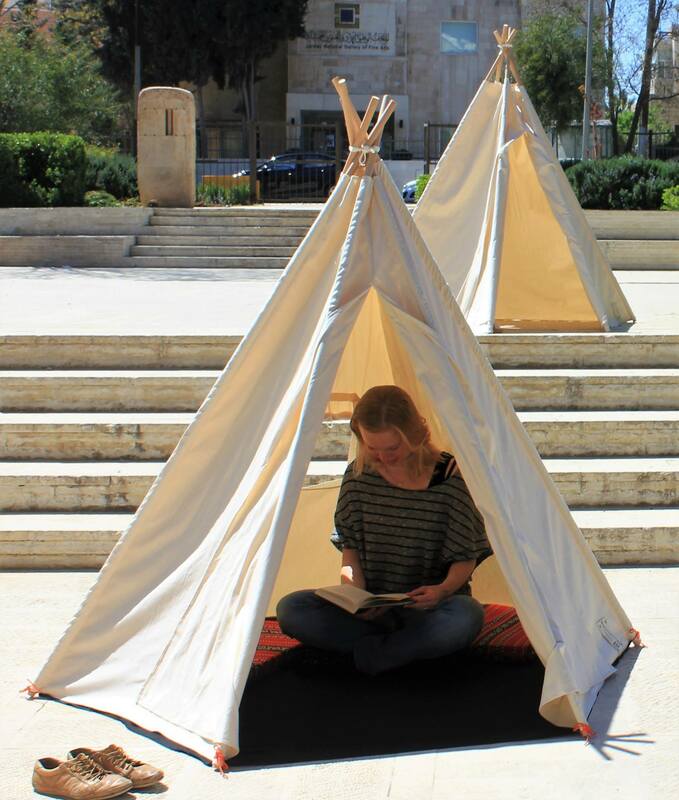 That’s where the stylish TELK tipi tent saves the day. 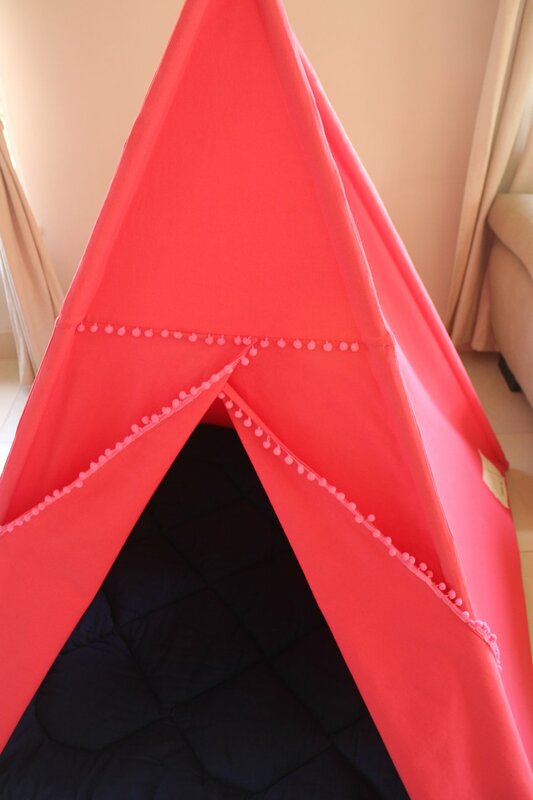 The tent can be set up indoors or outdoors; children can create their own den in the lounge room during winter or enjoy a bit of play camping outdoors during warmer weather. Each tent comes with its own bag and can be easily rolled up and stored away when it’s pack up time (although given they’re so easy on the eye, you may just let the kids leave it set up!). Time for an interview with Kati and Karin, the two ladies behind TELK. Please Introduce us to your brand. 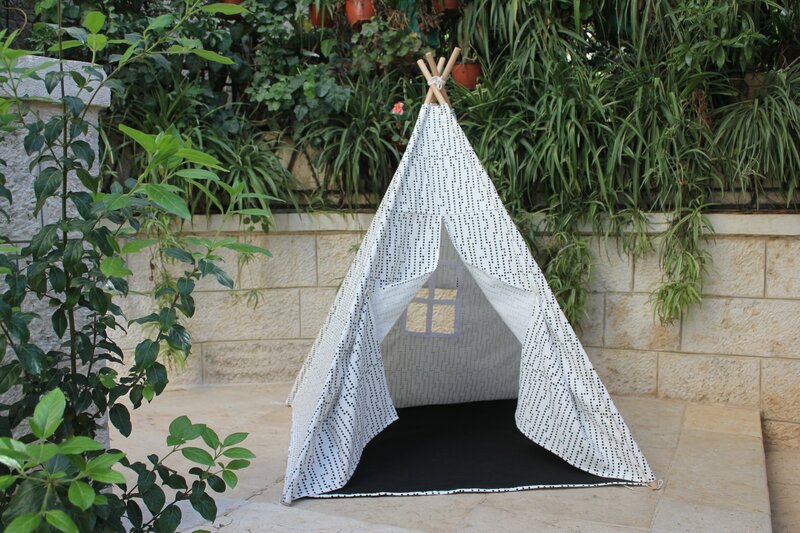 We handmade customised play tents for children. We source all materials locally for our workshop in Jabal Amman. 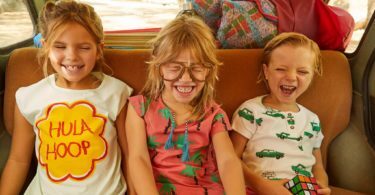 What Inspired you to start a brand making a children’s product? Karin, did being a mother of two young boys influence your thinking process? 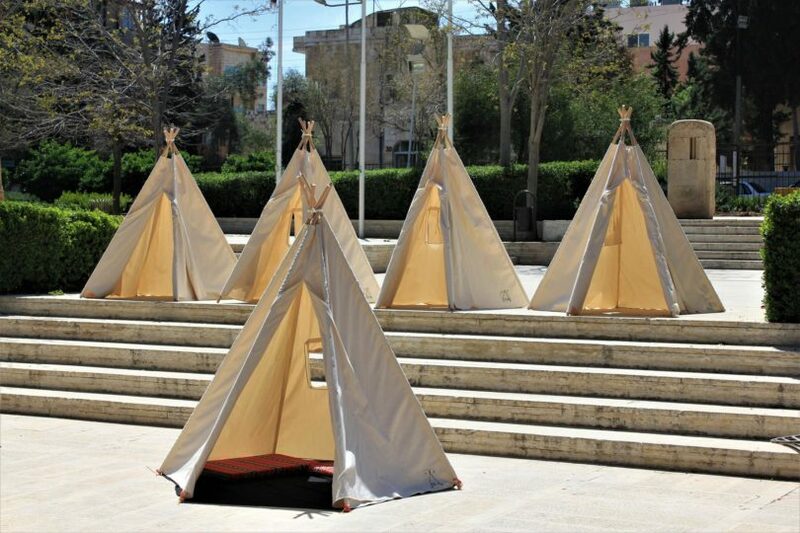 Kati: Our journey started with a friend who wanted a durable teepee for her children made out of fabric she had chosen. Since I know how to sew, we decided to give it a try. 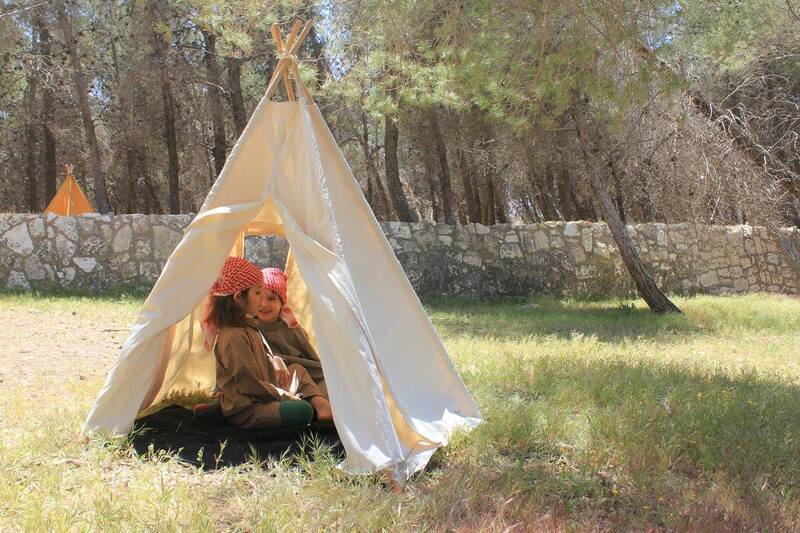 We experimented with BBQ sticks and small fabric pieces, I came up with a pattern and created a first teepee out of upcycled bedsheets, so we could test it on Karin’s sons. 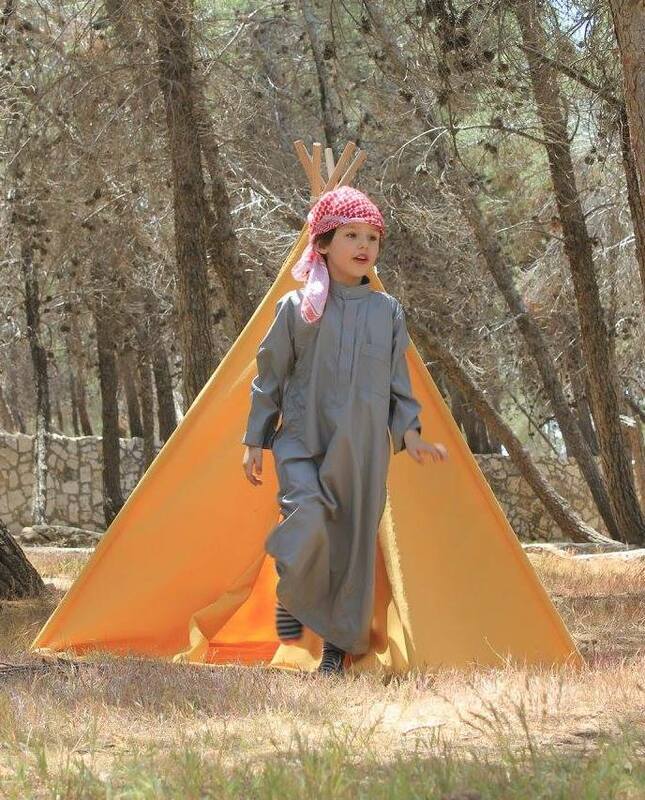 I really love to see the joy that a teepee can bring to children! Karin: As a mum of twin boys I know that durable toys for open-ended play are hard to get by in Amman, and very expensive to import. I still have that first teepee we made and whenever I have children over, they head straight for it! Safety is a big concern for parents. Can you explain the safety testing the Telk tent passed before it came on the market? Kati: We have chosen all materials carefully; fabric for breathability, wooden parts are sanded, the tope holding them together safely attached. The 20 tents which have been at the American Community School for over a year are not showing any wear and tear. What age group do you think will enjoy this product the most? Kati: Our target market is children from three to ten years old, but we also have customers in their forties enjoying teepees as a meditation space just for themselves. Karin: I love hearing from parents what they are planning – a nursery décor, a reading corner, even just to take out once a year as part of a special Ramadan tradition! What sparked your interest in design? Karin: We both have the benefit of being brought up learning crafts as part of our schooling, I loved woodworking and designing decorative pieces and small furniture. I know Kati felt the same about sewing and learnt from family members who taught her to mend and make. It’s a great skill to have, and I’m really proud of Kati for sharing that skill with young girls here in Amman. Actually, I take classes from her too! Kati: My inspiration comes from playing around with different fabric. I make sure to reduce waste, so if there are any pieces left over after a teepee is finished, I will turn them into cushions or yoga bags. Kati: After waking up, I feed the cat(s) and do yoga, sometimes they join me on the mat. Then a nice breakfast and off to the workspace! 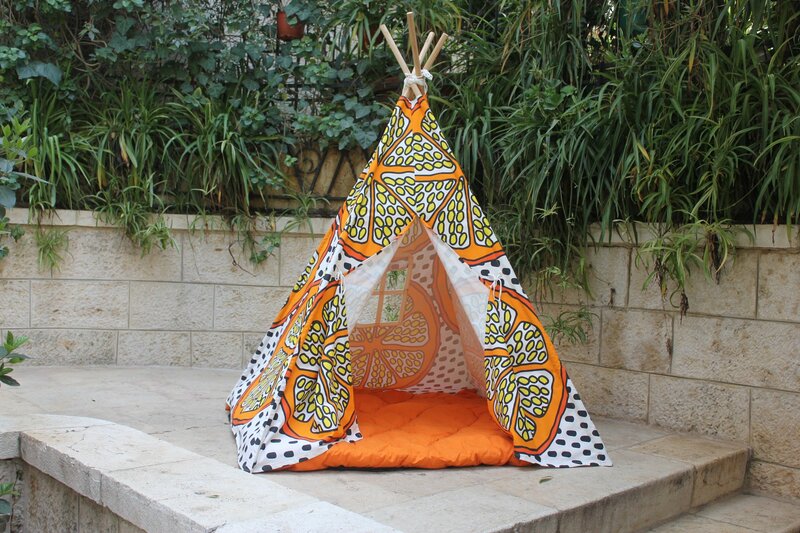 There is always something to do, either orders for teepees, custom made clothes or something to mend. In the afternoons I teach sewing, the decide what they feel like creating and I help them achieve that. Later I either sing, dance or just rest with my husband. Karin: I’m up early with the twins, if they’re at school and I am busy with volunteering or assisting Kati. Afternoons and weekends are family time, and two evenings every week I attend handicraft classes and sing in the same choir where I first met Kati. What sort of toys did you play with as a child and what did you hate playing with? Kati: I remember a lot of books, building blocks, some barbies and puzzles. Oh happy days, when our relatives from USA sent us some shiny and very special toys! Some toys were found in the garden, like snow and sand. 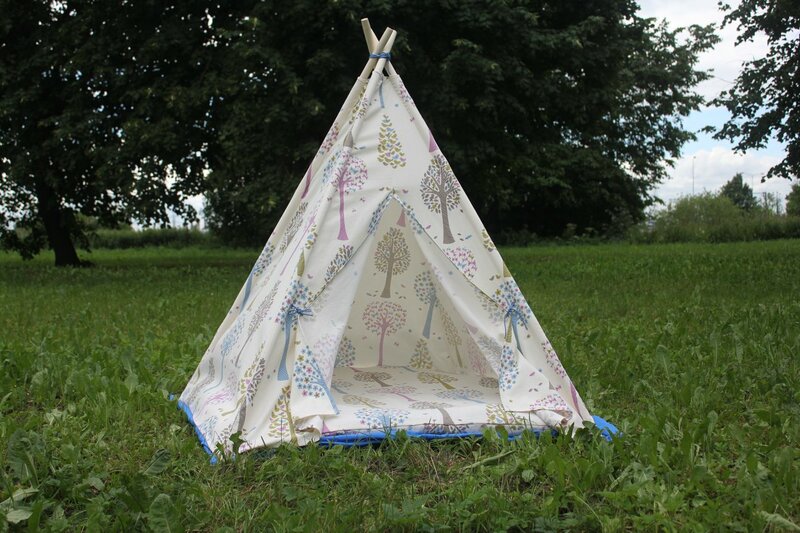 I remember when my sister and I made our own teepee, we pulled a string between two apple trees in our cottage garden and draped bedsheets on top of that. It was the most fun place to hang out during our summer break! Honestly, I don’t even remember what I hated playing with. Karin: My most treasured belongings were my horses stabled in a cardboard box and taken out daily for exercises! They came in all sizes and makes, but my favorite ones were Playmobil as they had riders and little fences to jump. I remember friends having those little plastic household chore items – like pretend ironing boards – and I still don’t quite understand how anyone enjoys those, I don’t even like the real thing! Kati: For me, it has been the pace of the work – running up to Christmas there is a lot to do, but during the year it is much more quiet. I solve it by working on other projects too and in the future expanding to other selling channels. Kati: Phone, wallet, scissors, chalk, reusable water bottle, notebook. Karin: Everything + a first aid kit (boys) and always some reusable tote bags and a set of Malfouf Eco Bags so that I can bring home my groceries without any unnecessary plastic bags. Kati: Our uniqueness lies in the custom-made designs; each customer can choose their own colour palette, even four different sides, if this is what they want! We are flexible and cater customers’ needs as far as possible. What advice would you give a budding Designer? Kati: just start doing! It will be scary, exiting and many more, but just keep on going, if you have a good idea that you are convinced in! Are you superstitious or do you have any rules you live by? Kati: I believe in Universe and also gratitude, trying to find joy/beauty in everything (it is not easy, but very rewarding). I try to treat people the way I want to be treated myself. Karin: ‘Do your best!’ I’m a cub scout leader, and pretty down-to-earth on the whole. What can we expect next from the brand? Kati: This spring season we’ve sourced new fabrics with fun patterns, and are developing decorations and accessories for the teepees! Karin: We already have a line of eco-conscious products (eco bags and yoga bags) and are looking to develop that side further. How is your work received internationally? Kati: We have made some teepees for Estonian and Finnish children and are open to other countries as well. Kati: Eat falafel and hummus, visit Citadel, walk in Webdeh. Karin: For visitors saving their energy for Petra and Wadi Rum I often take them to the Jordan Museum followed by a leisurely lunch near Rainbow street with a nice view.